When is a Blue Note not a Blue Note? Freddy’s last studio album for the label, a magnificent beast, Blue Spirits, a four-horn line-up, with a twist. The curious case of the Blue Note that almost never was. Presented for your listening detective pleasure, the magnificent Hank Mobley-driven title track, Blue Spirits, in two formats, mono and stereo, both recorded and mastered by Van Gelder. Amazon’s CD review sums it up. I say, “unrecognised no more”. Four horns across the range, from trumpet, alto, tenor, to euphonium (!) makes for thrilling harmonies and textures, plus Mobley! And Henderson! Then throw in flute (I know, I know, but it lends a very ’60s hippy feel) plus latin percussion and Pete La Rocca, and McCoy Tyner, plus Hubbard’s compositional skills, a rich, talent-bulging stew. Why didn’t Blue Note release it? Who knows, may be someone does. After a string of stellar albums, debuting with Open Sesame, Hubbard is here on his 9th and penultimate recording for Blue Note. Masterfully-controlled rich, warm and deep golden tone, bright yet a velvet touch, sure-footed with gentle vibrato, a distinctive voice among the young moderns, along side – arguably edging above – the excitable Lee Morgan and sterling silver Donald Byrd. Still to come, Freddy’s commercial funky move to Atlantic and CTI, and we are in his most creative Blue Note phase. Having the two leading young tenor voices on board, Mobley and Henderson, keeps your ears constantly on your toe’s (apologies, horrible mixed metaphor). Their stylistic nuances contrast. Mobley’s repertoire of solo phrases is becoming more structured and composed. He also picked up a few arranging tricks from this date to use on his own sessions as leader the following year March 18, 1966 (also a Friday, as it happens), released as A Slice Of The Top LT-995 (UA 1979) with a similar horn line-up, Kiane Zawadi on euphonium, James Spaulding (again) alto, Lee Morgan trumpet and adding Howard Johnson tuba to make a five horn ensemble, so many they had to send out for an extra tin of Brasso. Blue Spirits is a recognised masterpiece, which offers great inventive music. It has some flaws, I don’t know many pieces that don’t, but that shouldn’t stop you diving in and basking in the sheer joy of Modern Jazz, 1965. Interestingly, to anyone who likes to delve into such things, the date with Henderson seemingly yielded three rejected takes out of five, not a good day, with just two making it to the LP: Soul Surge and Cunga Black . Outer Forces” was rejected and went on to be recorded on the second date a week later, so it features Mobley instead of Henderson. As for “The Melting Pot” and “True Colours”, they disappeared briefly. 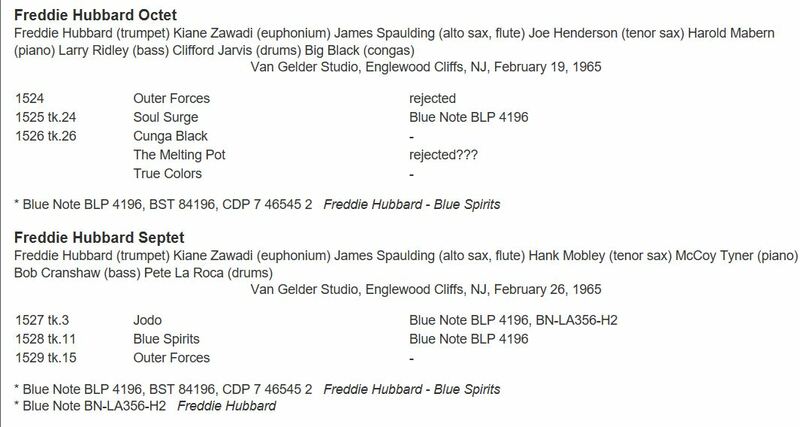 Connoisseurs of “bonus tracks” on The Evil Silver Disc of Blue Spirits find these compositions reappear, recorded the following year March 5, 1966, a Saturday as it happens, with Joe Henderson back in the driving seat and Herbie Hancock on celeste along for the ride. Perhaps that first February session decided Hubbard to convene a different line up the following week. Interesting decision. The title was was routinely allocated a catalogue number by Alfred Lion, BN 4196, along side other titles released in August 1965, the standard six months from studio to market. The track selection and sequence had been agreed in order to have labels and jackets printed and Van Gelder rolled the tapes to cut the masters. All the artistic decisions had been made. All that remained was the business decision to be made to set the presses rolling. And it wasn’t. 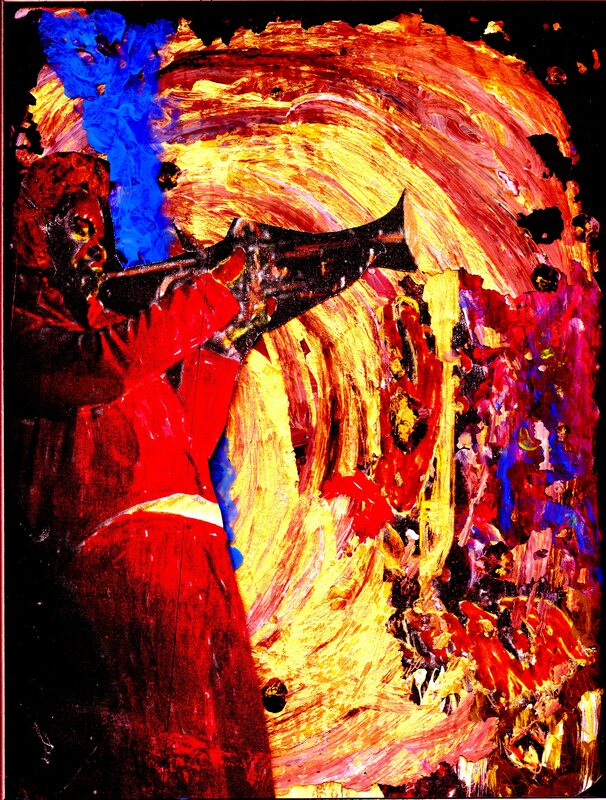 Blue Spiritswas not released for nearly two years, until first issued by Liberty, at the beginning of 1967, in the exciting company of Lee Morgan’s Cornbread (4222) Sam River’s Contours (4206), and Bobby Hutcherson’s Happenings (4231). All edgy post-bop records with new theatrical vision and avant-leaning tendancies. Marketing Department of Liberty must have had a busy run down to Christmas 1966, pushing mono stamped audition copies out of the door to radio stations. 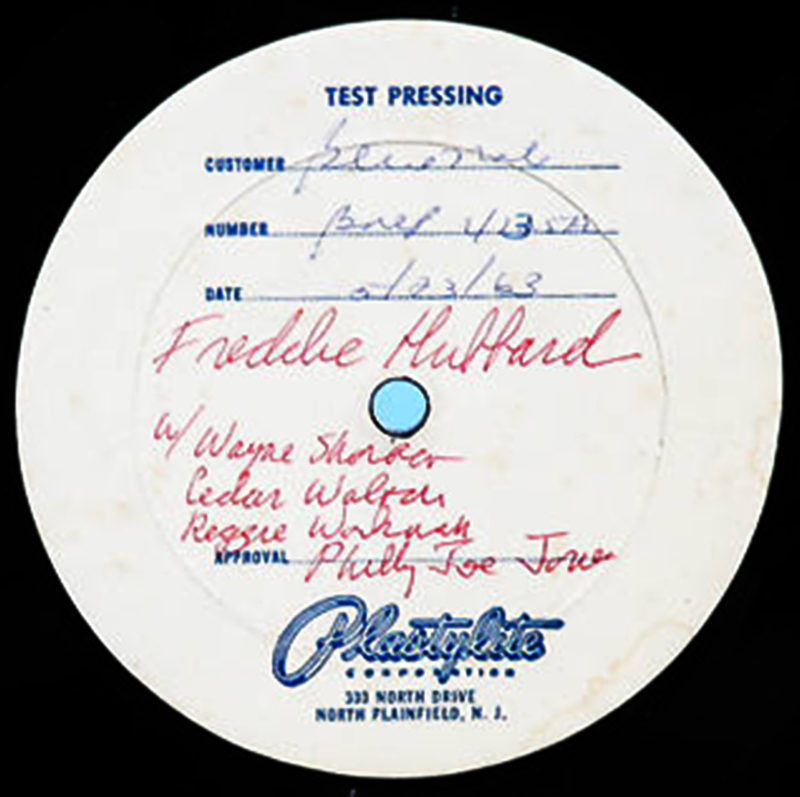 Some very competitive collectors believe the audition copy stamp became progressively more faint with repetition in use, and that the darkest ink “audition copy” stamp indicates which are the very earliest promos. Earliest by perhaps a few minutes, but in collecting, these things matter, earliest is earliest. Other collectors refer to this as bollox-on-stilts, and I need to confess I just made it up. But there could be money in it if anyone were to believe it, so let’s keep the idea running. 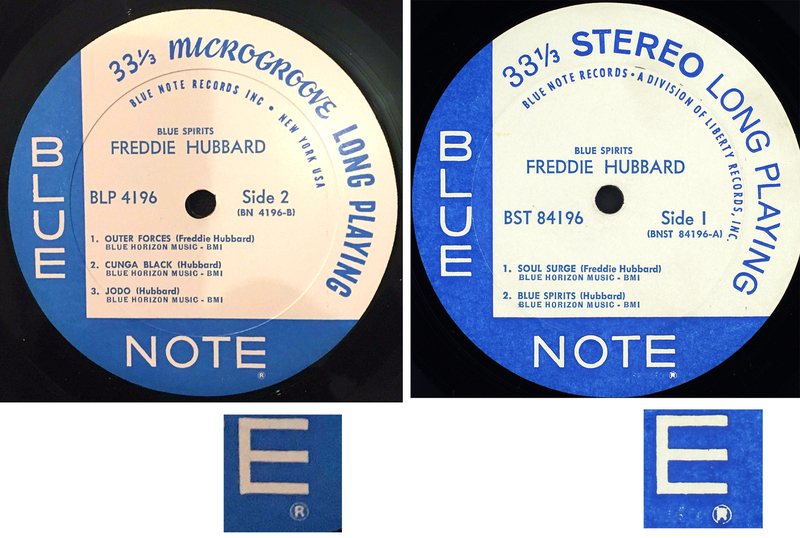 in anticipation of release, Blue Note had labels printed for both mono and stereo editions, along with a quantity of both covers. With release deferred and no vinyl pressed, these will have remained in the stockroom (photo yet to be found) and all passed over to Liberty, together with Van Gelder metal, ready for pressing. As by 1967 stereo was the dominant LP format, Liberty printed additional stereo labels, but none for mono, where the inherited Blue Note stock apparently sufficed to meet mono demand The mono and stereo below left and centre appear to be Keystone Printed Specialties legacy stock, the Division of Liberty (below right) I am less confident of. Let’s take a closer look. Though Superficially similar typesetting, but the paper stock is different, sufficiently to allow the R in ® to bleed, and the colour fidelity off, the blue ink has marbled. Circumstantial, but potentially significant. Different printer, different pressing plant? The covers match up with the labels inherited from Blue Note, mono “High Fidelity” and “Stereo” with large catalogue number top right. 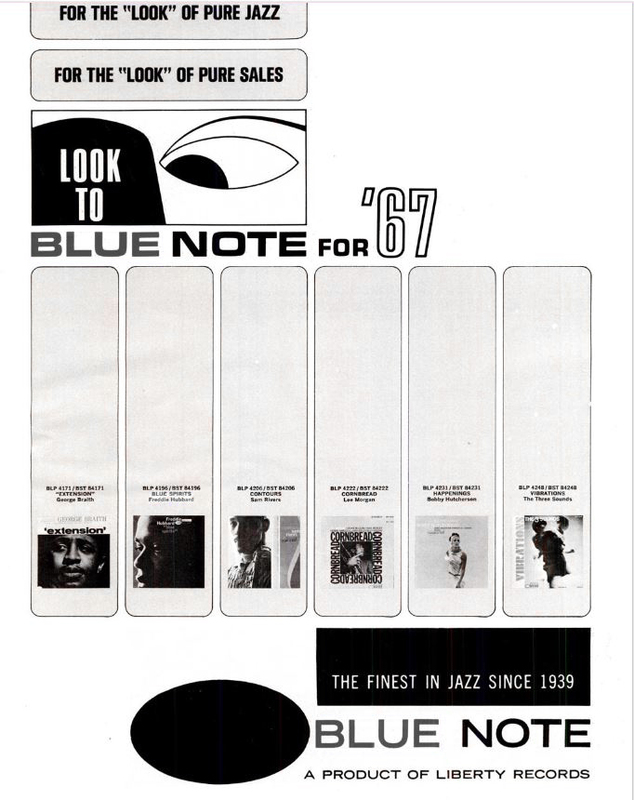 These are artfully replaced by Liberty Blue Note logo top left, on a rear slick, with a small font “unisex” catalogue number: BLP 4196 / 84196, so it could be used as liner notes on either mono or stereo covers. The early link between Liberty and All-Disc Records pressing plant is well established, and it is likely but not proven that the Blue Spirits copies with original Blue Note Keystone labels, both mono and stereo, were All-Disc pressings, which are to my ear the calibre of Plastylite. 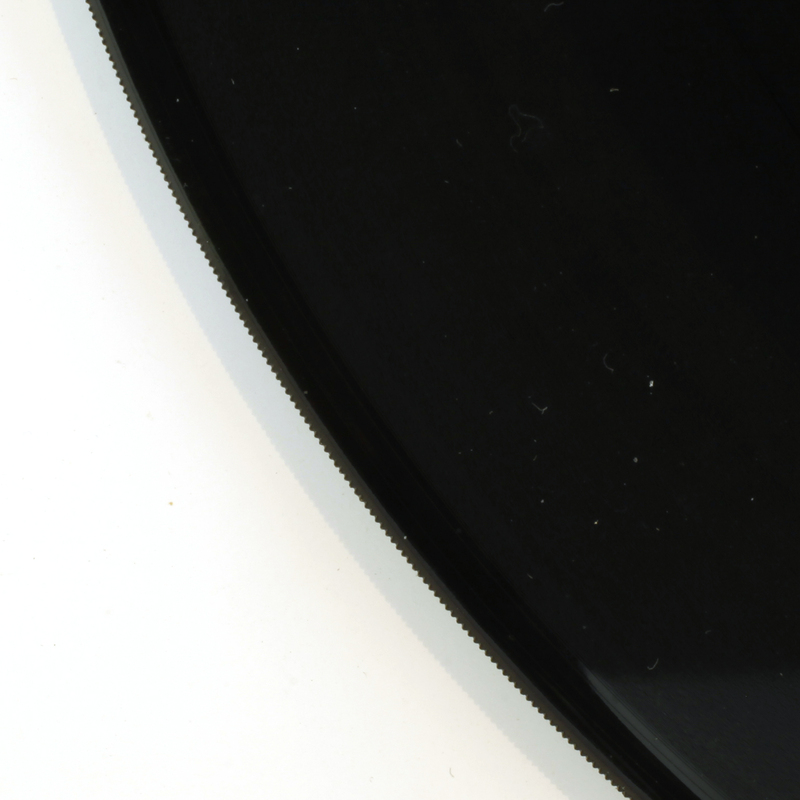 However there is there is the small matter of the Division of Liberty stereo, which has atypical label print quality, and which in my case has a serrated edge, not characteristic of Liberty All-Disc or Research Craft plant production, but the signature of another pressing plant associated with some Liberty pressings at this time. This Division of Liberty stereo pressing is one of a number of Liberty Blue Note releases at this time manufactured with a serrated edge. Mobley’s High Voltage, released the same year, has the exact same signature serrated edge, possibly others. Until recently I had no ideas on the origin of the serrated edge, and no authoritative source even recognised its existence. Until now. The whole world is full of vinyl detectives, I love it! LJC Reader Jason W noted the self-same serrated edge on his copy of “Brazilian Beat 67”, a latin jazz album released in this same year, 1967, manufactured by Keel Mfg. Corp., Hauppauge, L.I. Keel (Discogs note) :Keel Manufacturing Corp. 10 & 15 Gilpin Ave., Hauppauge NY, 11788. Defunct (closed 1981) Long Island record manufacturer/pressing facility which was located in Hauppauge, NY (USA). A division of Pickwick International, Inc., Keel sourced nickel electroplated masters from Mastercraft Record Plating, Inc., and vinyl plastic compounds from Woodbridge. It looks very probable that Liberty diversified pressing occasionally beyond its own plant All Disc, in this case to Keel Mfg. Corp. One less mystery. The final coup-de-grace, the inner sleeve, either inherited stock of the last 1966 “27 Years” Blue Note (only the mono or both?) , or when those ran out, Liberty’s own corporate inner. Accompanying 84196 my Division of Liberty came its original Liberty inner sleeve, the legend “534 Printed in U.S.A” bottom right rising, if that means anything. On the theme “entertainment for everyone” is a selection of Liberty artists, new releases and reissues, various covers and music genres, I don’t think it changed the way Blue Note inner sleeve did, so it is no help in dating manufacture. 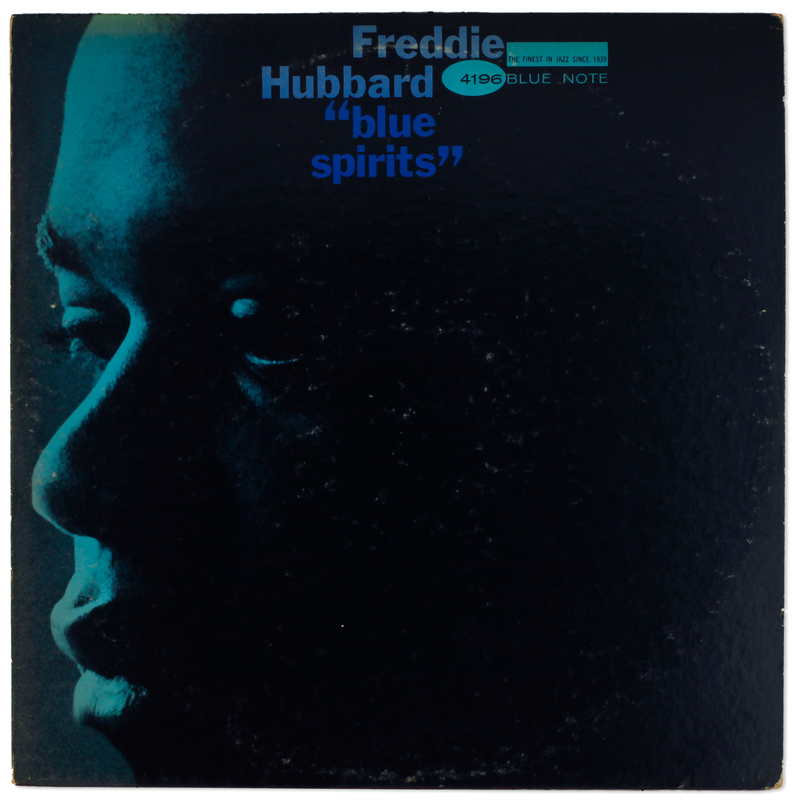 LJC weighs in: Blue Spirits was a recording made for Blue Note Records Inc.. The record itself was manufactured for Liberty Records Inc. Is there “an original Blue Note” copy? That all depends on what you think the meaning of “is” is. Any other sightings of the serrated edge, let me know, the five 1967 releases are potential candidates. Also if you have the Division Of Liberty copy of Blue Spirits, – is it serrated edge too, or conventional round-trimmed edge?. Add to the story if you can, or shoot it down if you must if your aim is true ( a deep groove copy will suffice).. We collect knowledge here, not just records. Increasingly I find my mission the search for value-in-vintage-vinyl-jazz rather than gasping at trophy-prices (though that can be fun too). 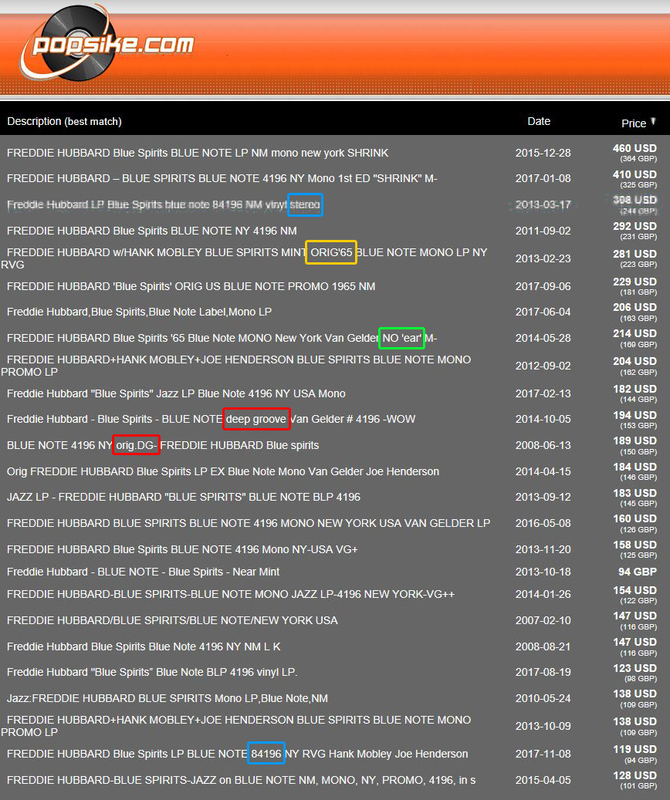 What I know is that Blue Spirits is one of the least expensive, most undervalued Hubbard Blue Note, Liberty, whichever. Not unrecognised, but undervalued. Whilst Open Sesame tops at over $2,000, top copies of Blue Spirits come in at one tenth of that price. Given the main selling pitch was Blue Note NY label, sellers were conspicuously silent on the absence of a Plastylite stamp. Only one of the top 10% 25 auctions declared “no ear” in the headline, which didn’t seem to hurt them. No-one says it has the ear, but 24 sellers independently decided silence is golden. You have to think, they know don’t they? Instead, lots of hand-waving about the “original” New York label and Van Gelder stamp, and of course some attributing the recording date “1965” as though it was the year of manufacture. Interestingly, only two copies of the stereo made it into the top 10% of auction prices: mono remains auction king, though probably stereo accounted for the majority of sales. Most of these descriptions are truthful within the rules, but not full disclosure. Two declared their copy to be “deep groove” (in 1967? ), one in plain sight of a photo that said otherwise. Still, they netted nearly $200 on the strength of that “Wow”! The cigar however goes to the seller who artfully and technically correctly referenced the cover address in their headline offering: Not the 47 West 63rd St. label address, the 43 West 61st St. cover address, but the thought goes through your mind. It is inconsequential: the same address is on both the Blue Note and the Liberty covers. Why headline it? Here we must reach the end of the post, with Christmas fast approaching. Some jazz-related sites run to the discipline of a post a day, like the excellent Marc Myers “JazzWax”. I decided recently that I enjoy digging deeper, where few have burrowed, and posting “quality over quantity”, though you are the best judge of that. 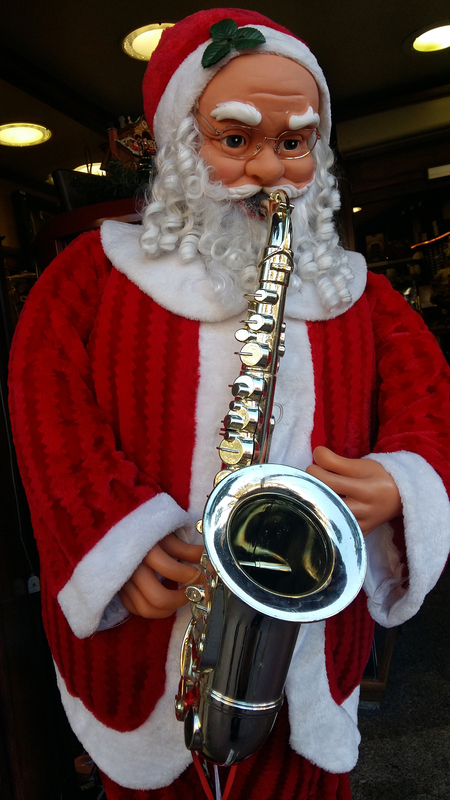 Merry Christmas, and a jazzy New Year. Seller in the auction knew something I’d not heard before: “ONLY 25 TEST PRESSINGS WERE MADE OF EACH BLUE NOTE TITLE”. Somewhere are possibly others. Now that is worth a WOW! The test pressing (Sides A and B together) fetched $2,920 in auction, the most ever paid for a Blue Note test pressing. There is a collector-elite who pay $1,000-$3,000 for these rareities . The 1976 reissue was mastered by in-house UA engineers, likewise the 1986 Pathe Marconi, which is a DMM. The test pressing is the only edition of that recording that is mastered by Van Gelder, stamped RVG, and pressed with ear by Plastylite. The test pressing is the only “original” that exists. Posted on LJC in 2014, The Blue Note That Never Was , Here To Stay was issued in 1986 by Pathe Marconi with its original intended cover. For a DMM, it is nice LP, well worth seeking out. 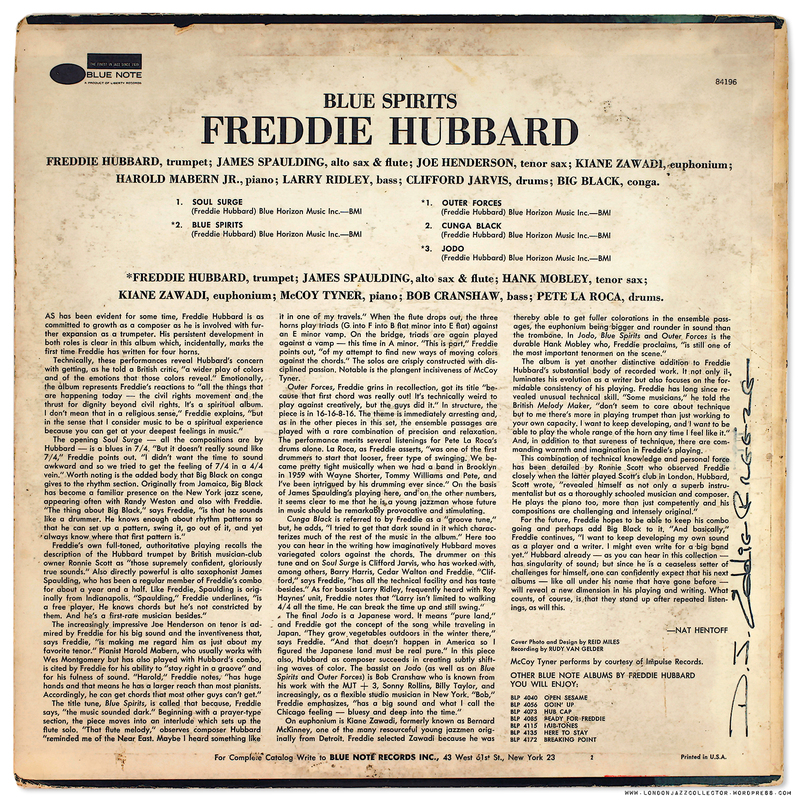 This entry was posted in Blue Note, Freddie Hubbard, Liberty and tagged Blue Note, Blue Spirits, Freddie Hubbard, Hank Mobley, Keel Hauppage L.I., Liberty by LondonJazzCollector. Bookmark the permalink. Yup I just checked my Blue Spirits Liberty pressing and sure enough it’s a serrated pressing. Sounds clear, strong and beautiful to my ears still. 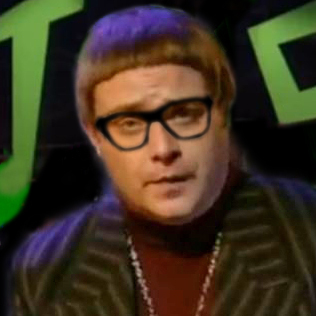 Thanks for your amazing detective work in helping all of us understand our LP’s and their origins. Great post! Filled with lots of good information. Been a BN collector for quite a while. Your post prompted me to check my collection….I have 3 copies on hand. A NY (non ear) VanGelder mono in wretched condition, a Div Liberty VanGelder Stereo copy in EX condition and a Black “b” VanGelder reissue in NM condition. Looks like a shootout between the later 2 is on the horizon. The Liberty copy label contains deep blue ink without mottleing. Blue is just discernible in the center of the little “R” on sd2, just a blur on sd1. Cover feels of lighter weight stock than earlier pressings, and has the updated Blue Note Liberty logo at back top left, with unisex 4196/84196 at back top right. Still with NY 23 address. Pressing weight feels similar to other early Lib era pressings, but slightly lighter than NY ear pressings. I also have a few Liberty titles with serrated edges….will look through and report back. I wonder if Liberty sub-contracted out the whole of the pressing run for these titles (ie all copies are serrated edge) or if are there mixed sources. They owned All Disc, so why send work elsewhere in the New York area? I will keep looking through my collection to determine which Liberty titles I have contain a serrated edge. I compared Liberty and Black b pressings of Blue Spirits. Both were cleaned before playing and both play grade as NM removing condition as a sonic variable. Verdict is Liberty by a hair. One can be perfectly happy with a Black b Van Gelder pressing and it is only in direct comparison that it falls short. I hear slightly less dynamics and smidgen less extension and air around musicians. Otherwise very very close. I suspect the same metal stampers were used, or the stampers were derived from the same lacquers. The slight differences I heard could be due to wear of stamper/lacquer surfaces. Just my experience; others may differ. Just referenced my copy- Liberty stereo labels, Liberty cover, 27 years inner sleeve and NO serrated edge. Very much has the look and feel of an All-Disc pressing. Sounds excellent. Have you traded-in your normal sharp lens for an early United Dairy bottle glass model? The usual good start standard you set has left the building in some of the shots here. Especially the Audition Only trio, or are pre-chrissy tipples the cause? They are not my photos, they are Ebay auction sellers photos, scraped off the net. Some are only 300 pixel wide and typical of the very compressed and poor product photography on Ebay. Tell me about it! This is one of the most interesting blue notes I’ve always thought. Very dark and almost menacing music. So good! Mobley is an interesting choice as the rest of the frontline is more modern and edgy, especially Spaulding who blows the hinges off, here and every blue note he graces. Imo the most underrated horn player on the label. My copy, with the blue & white Liberty label (the blue is solid, not marbled like the copy posted above, I’ll e-mail a photo) has a serrated edge and weighs 135g. i am proud to report that i got a very nice mono copy of this for total peanuts a few years back. i adore it. mine has, if memory serves, no serrated edge or ear of course, and certainly no deep groove. i can check when i am back from travels. I have just purchased a first press of Jimmy Smith At The Organ Vol 1. Vinyl is in dreadful condition and I purchased it for £10 as I wanted to frame the cover. A nice surprise was both sides although with lots of crackles play perfectly from start to finish. I suppose that,s the beauty of quality pressings. An amazing range of resources converge in your discussion of this recording and comparison of the mono and stereo versions! 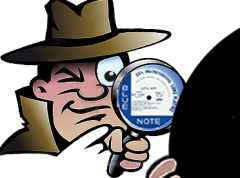 Would you kindly add one more set of details to your comparison: do both the flat edged mono and serrated edged stereo version of Blue Spirits have the same weight? Thanks to your wise recommendation I picked up a scale and I am now regularly weighing my very slowly growing collection! Thanks for sharing the new info about Keel Manufacturing Corp.
It’s spooky they are so close. The average vinyl weight for my 35 “Division of Liberty” label editions which have VAN GELDER stamp is 144 grams. So these two are both at the lighter end, which starts to make me suspicious. The average vinyl weight of my 23 Liberty pressings which have no ear, a legacy Blue Note NY label and a Van Gelder stamp (which I reckon are all bona fide All Disc pressings) is higher still, at 148 grams. Only 5 out of the 23 are below 140 grams. The other two serrated edge pressings I have are 130 grams (4273 Mobley High Voltage) and 154 grams (4259 Don Byrd’s Blackjack) so there’s no consistency. Frustrating but there is a normal distribution in vinyl weight, some will be high and some low. We need a bigger sample to understand how it works. Anyone got Liberty serrated edge copies throw in some info. Hubbard’s brilliant. All his CTI stuff is worth reviewing, especially first Light and Red Clay…. When I first heard Blue Spritis about a year ago I was surprised at how “late 60s-hippy” sounding the title track was, as you say with the flute, but also with and the introspective melody. I can understand that it may have felt a little strange for ’65, but perfect for ’67…. From ink pigmentation densities to serrated edges, please keep up the wonderful vinyl forensics in 2018!